Victoria is located on southern Vancouver Island, and it is the capital city of the province of British Columbia, Canada. Because of its warmer climate compared with other Canadian cities, the city is a popular place to live in. 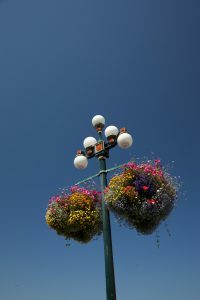 In summer, the streets show their old British influence, and are decorated with colourful hanging baskets of flowers; many tourists from around the world visit Victoria. 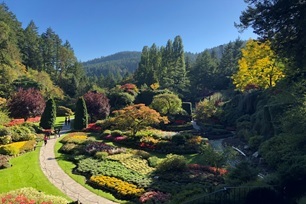 Furthermore, Victoria is called a “Garden City”, as the city has not only the world-famous Butchart Gardens but also many private houses with beautiful gardens. Please come and enjoy the beautiful city of Victoria. Victoria, la capitale de la province canadienne de Colombie-Britannique, est située au sud de l’île de Vancouver. Grâce à son climat relativement doux, en comparaison avec d’autres villes canadiennes, les gens aiment y habiter. En été, les rues affichent leurs influences britanniques et sont ornées de paniers de fleurs colorés. Les touristes viennent d’à travers le monde pour visiter Victoria. De plus, Victoria est surnommée la “ville aux jardins” (Garden City), grâce aux Jardins Butchart de renommée mondiale, ainsi qu’à ses nombreuses résidences privées aux jardins magnifiques. Veuillez venir découvrir la merveilleuse ville de Victoria. The University of Victoria is situated in a small hill which is surrounded by woods and ocean and located in a suburb of Victoria. You can reach the campus in just 15 minutes by bus from downtown Victoria. The campus is organized inside the “Ring Road,” a circular one-way road. Within the ring you can find the various libraries, classroom buildings, and computer facilities; around the ring are residence buildings, the student union building, sports facilities, the bookstore, and more. From the main bus stop in front of the bookstore, every building and facility is located within a short walking distance. L’université de Victoria est située sur une petite colline en banlieue de Victoria, entourée de bois et par l’océan. Vous pouvez vous y rendre en seulement 15 minutes en autobus, à partir du centre-ville de Victoria. Le campus s’organise à l’intérieur de la Ring Road, une route à sens unique en forme d’anneau. À l’intérieur de cet anneau, vous pouvez y trouver les nombreuses bibliothèques, bâtiments de classes et complexes informatiques. Autour de l’anneau se trouvent les bâtiments résidentiels, le bâtiment de l’union étudiante, les complexes sportifs, la librairie et plus encore. À partir de l’arrêt d’autobus principal, qui se trouve en face de la librairie, tous les bâtiments et installations sont accessibles à pied. For participants of this conference, Kintetsu International kindly offered us good value fight plan; CAJLE2019 Plan (for domestic flight). More details about this plan, please click here. 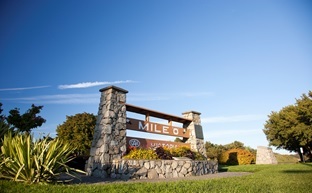 Victoria International Airport (YYJ) is located approximately 30 minutes from the University of Victoria. Flights arrive daily from across Canada, Seattle (US) and Mexico. Getting to and from the airport, there is the YYJ Airport Shuttle; you may get on and off in downtown Victoria, but you can also make arrangements to arrive at or depart directly from the University of Victoria. (Please visit the website for the fares, schedules, booking and shuttle spots). If you prefer to take a taxi, you can find one near the exit door of the terminal (at the arrival side). 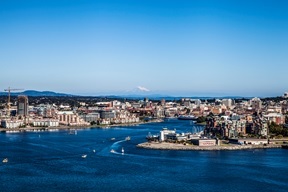 If you want to use ground transportation, from Vancouver the BC Ferries Connector offers a bus service between downtown Vancouver or Vancouver Airport and downtown Victoria. You can also use public transportation such as Vancouver Public Transportation (bus and skytrain) to get to the Tsawwassen ferry terminal and board the BC ferry as a foot passenger. After arriving at the Swartz Bay ferry terminal on the Victoria side, you can use a BC Transit (bus) or Taxi (Victoria Taxi, Yellow Cab of Victoria, Bluebird Cabs etc.）to your hotel. If you rent a car in Vancouver, you can drive to the ferry terminal and get on the ferry with the car. In any case, after you depart from Vancouver, you use BC Ferries to cross over to Victoria. It takes about 1.5 hours by ferry, with approximately 30 minutes by public transit on each side. Once you are on board, you can get a snack, and relax, and enjoy the beautiful scenery with many small islands. For details about the fares, schedules, etc., please visit their websites. There are regular ferry services (Clipper Ferry) from Seattle to Victoria. The Clipper Ferry from Seattle arrives at the Inner Harbour in downtown Victoria. From there, please use a BC Transit (Bus) 、Taxi (Victoria Taxi, Yellow Cab of Victoria, Bluebird Cabsetc.) to get to your hotel or the University of Victoria. For more information, visit Clipper Ferry website. Si vous êtes un ressortissant étranger exempté de visa (japonais inclus), vous avez besoin d’une autorisation de voyage électrique pour entrer au Canada par un aéroport canadien. N’oubliez pas de demander votre ETA avant votre voyage au Canada. L’aéroport international de Victoria (YYJ) est située à environ 30 minutes de l’université de Victoria. Les vols y arrivent quotidiennement, en provenance du reste du Canada, Seattle (É.-U.) et du Mexique. Pour se déplacer vers l’aéroport et en quitter, vous pouvez emprunter la YYJ Airport Shuttle, la navette de l’aéroport. Bien que vous puissiez l’emprunter à partir du centre-ville de Victoria, ainsi qu’en débarquer à cet endroit, vous pouvez aussi faire des préparatifs pour faire de-même à partir de l’université. (Veuillez consulter le site web pour les tarifs, horaires, réservations et emplacements de la navette.) Si vous préférez prendre un taxi, vous pouvez en trouver un près de la sortie du terminal (du coté des arrivées). Si vous désirez emprunter la route pour vous y rendre, le BC Ferries Connector offre des services d’autobus reliant la centre-ville de Vancouver ou l’aéroport de Vancouver au centre-ville de Victoria. Vous pouvez aussi emprunter la transport en commun, tel que les autobus publics et le Skytrain, pour vous rendre à la gare maritime Tsawwassen et emprunter le traversier BC Ferry en tant que passager sans véhicule. En arrivant à la gare maritime de Swartz Bay du côté de Victoria, vous pouvez emprunter un autobus public ou un taxi (Victoria Taxi, Yellow Cab of Victoria, Bluebird Cabs） jusqu’à votre hôtel. Si vous louez une voiture à Vancouver, vous pouvez conduire jusqu’à la gare maritime et monter sur le traversier avec votre véhicule. Dans tous les cas, après votre départ de Vancouver, vous pouvez utiliser les traversiers BC Ferries pour traverser les eaux vers Victoria. Ce trajet prend environ 1 heure et demie en traversier, avec environ 30 minutes d’autobus sur chaque rive. Une fois à bord, vous pouvez manger une collation, vous reposer et apprécier la vue magnifique comprenant une multitude de petites îles. Pour plus de détails à propos des tarifs, horaires et autres, veuillez consulter leurs sites web. Vous trouverez des services de traversier (Clipper Ferry) régulièrement de Seattle en direction de Victoria. Le traversier Clipper Ferry en provenance de Seattle vous déposera au Inner Harbour, le port intérieur, au centre-ville de Victoria. Là-bas, veuillez emprunter un autobus ou un taxi (Victoria Taxi, Yellow Cab of Victoria, Bluebird Cabs）pour vous rendre à votre hôtel ou à l’université de Victoria. Pour plus d’information, veuillez visiter le site web du Clipper Ferry. On the campus of the University of Victoria, you can walk to any building. All CAJLE2019 Annual conference events including the Keynote Speech, Teacher workshops, and other presentations will be held in the Clearihue building, which is located inside the Ring Road. From the bus terminal, please walk to the Ring Road. After crossing the road, please proceed toward the left. ** Please enjoy “Finnerty Garden” on Campus to refresh yourself in natural beauty. If you like arts, you can enjoy many art exhibits all around campus (Cornett, First Peoples House etc.). Also, UVic has two art galleries, collectively known as the Legacy Art Galleries; one is on campus and the other is downtown. Please do enjoy garden and arts in your spare time, too. BC Transit provides bus transportation throughout Victoria. Cash Fare is $2.50 (one way), but we recommend you to buy a “Day Pass” on board for $5. To check bus schedules, etc., it is convenient to have an APP called Transit. Le réseau de transport en commun BC Transit offre des services de transport en autobus à travers Victoria. Chaque Cash Fare, un billet à passage unique, coûte 2.50$, mais nous vous recommandons la carte d’abonnement pour une journée “Day Pass” offerte à bord pour 5$. Pour consulter l’horaire des autobus et plus d’information, l’application Transit vous sera pratique. There are a lot of accommodation facilities in Victoria. However, we recommend you to make a reservation for a hotel as soon as possible, as it will become quite busy in the summer. We have arranged 30 single rooms and 5 cluster units (4 bedrooms per unit, Deluxe type or Premium type) with a group rate. For the cluster, you have to book as a unit. If you require to have an individual receipt, please note that you have to mention it at the time of booking (Without the notification at the time of booking, we are not able to issue an individual receipt). To book accommodations with UVic residences, please click here. Cluster units feature four bedrooms, living room, two bathrooms and a kitchen. Each bedroom is lockable and features a single bed, wardrobe and desk. Basic kitchen supplies are provided. * Each unit is booked by the unit. rate is 15% in total (subject to change). For reservation, please contact here. To book a room, please click the “sign-up” button and then select the room type you would like to book. Once the UVic booking office processes the booking request, you will receive the email about the instructions on how to confirm your booking request with payment of a deposit or the balance. Our sponsor, Kintestu International kindly arranged special hotel rates with “Quality Inn” in downtown Victoria. More detail about this hotel, please click here. Vous trouverez plusieurs complexes d’hébergement à Victoria. Cependant, nous vous recommandons de réserver votre chambre d’hôtel le plus tôt possible, car l’été est une période achalandée. Nous avons arrangé 30 chambres simples ainsi que 5 unités de groupes (4 chambres par unité, de type deluxe ou premium) à prix de groupe. Pour les unités de groupe, vous devez réserver l’unité entière. Si vous désirez des reçus individuels, veuillez noter que vous devez le mentionner au moment de poser la réservation (sans cette indication, nous ne pouvons pas produire de reçu individuel). Pour effectuer une réservation avec les résidences de l’UVic, veuillez cliquer ici. Les unités de groupe comportent quatre chambres, un salon, deux salles de bain et une cuisine. Chaque chambre est verrouillable et comporte un lit simple, un garde-robe et un bureau. Des ustensiles de cuisine de base sont fournis. * Chaque unité doit être réservée entière. *Les tarifs sont affichés par nuit et sont soumis aux taxes applicables (GST, PST et MRDT). Le taux présent est de 15% au total (susceptible de changer). Pour effectuer une réservation, veuillez contacter ce service. Pour réserver une chambre, veuillez clique sur le bouton “sign-up” (s’inscrire) et sélectionner le type de chambre qui vous convient. Une fois la demande de réservation traitée par les bureaux de l’UVic, vous recevrez un courriel avec les instructions vous expliquant la démarche pour confirmer votre réservation à l’aide d’un dépôt ou d’un paiement de votre solde total. Notre commanditaire, Kintetsu International, vous offre chaleureusement des tarifs hôteliers spéciaux avec le “Quality Inn” du centre-ville de Victoria. Pour plus de détails à propos de cet hôtel, veuillez cliquer ici. 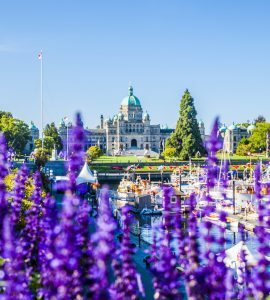 This sightseeing plan includes two of the most popular attractions in Victoria: the world-renowned Butchart Gardens, and a British style afternoon tea. This magnificent garden is divided into five areas with different themes, through which you can freely wander, while enjoying the colourful flowers. In one of the restaurants, please try a beautiful British style afternoon tea. You can also spend time souvenir shopping in their gift shop. After the gardens, the bus will drive back downtown through the beautiful scenery of Victoria. 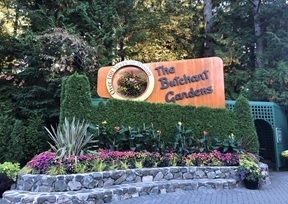 Since the Butchart Gardens are located on the outskirts of Victoria, we highly recommend joining the tour to go there. For more details about this tour, please click here. Ce forfait de visite guidée inclut deux des attractions les plus populaires de Victoria: les jardins de renommée mondiale Butchart Gardens et l’heure du thé en après-midi à la Britannique. Ce magnifique jardin est divisé en cinq aires aux thèmes différents, à travers desquels vous pouvez prendre le temps de vous promener tout en admirant les fleurs aux couleurs vives. Dans un des restaurants, vous pouvez vivre l’expérience d’un magnifique thé en après-midi à la Britannique. Vous pouvez aussi chercher quelques trouvailles dans la boutique de souvenirs. Après les jardins, le bus vous remmènera au centre-ville en passant à travers les merveilleux paysages de Victoria. Comme les Butchart Gardens sont situés en périphérie de Victoria, nous vous recommandons fortement de vous joindre à une visite guidée pour vous y rendre. Pour plus d’information à propos de cette visite guidée, veuillez cliquer ici.